>> Israeli soldier Gilad Shalit, held hostage by Hamas for years, set for release on Tuesday….IDF on high alert….please pray for Gilad and the Shalit family. 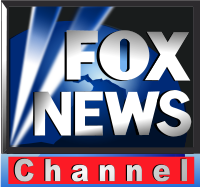 On Sunday afternoon, I was interviewed on the Fox News Channel about the Iran terror plot, the 2012 presidential campaign and the lack of a serious plan by the President or the GOP candidates to neutralize Iran, and the launch of The Tehran Initiative on Tuesday. To watch the video, please click here. It was posted online by the left-wing Media Matters website. Below is the transcript of the interview. Shannon Bream, Fox News Channel: The Iranian plot FBI Director Mueller has talked about this week also reads like the pages of a soon-to-be-released novel by an author that some are called a ‘Modern day Nostradamus.’ Joel Rosenberg’s new book, The Tehran Initiative, bears an eerie, uncanny resemblance to current events. And it isn’t the first time he has written fiction that’s foreshadowed the future. It’s a special gift I think he has. He joins us now. Joel thanks for coming in. Joel C. Rosenberg, author of The Tehran Initiative: Good to be with you. Bream: Of course this week we’re talking about the foiled Iranian plot. There are some skeptics who wonder just how far up it went in the Iranian leadership, the Quds Force, whether leaders there knew about it, whether this is a legitimate plot at all. What do you make of it? Were you surprised by it at all, this plan to assassinate the Saudi ambassador here in D.C.? Rosenberg: Well, like everybody, I want to see all the details, all the evidence, if it’s true. But right now, you know, time will tell in terms of this specific plot. But the problem is that Iran declared war on the United States in 1979, declared war on Israel in 1979 under Ayatollah Khomeini. They started taking hostages. They’ve killed Americans in Lebanon, Saudi Arabia, Iraq, Afghanistan. Now, if this plot turns out to be credible — combined with the nuclear weapons development strategy — you basically have a declared war from an enemy with virtually no response for all these years. I brought in with me an article from April 2010 from the New York Times — then-Defense Secretary Robert “Gates Says U.S. Lacks A Policy To Thwart Iran.” It details a three-page secret memo saying the Obama administration doesn’t have a plan. Well, eighteen months later the problem is, what is that plan to neutralize the Iranian threat, to degrade their capability to threaten us, either with terrorism or nuclear war? The problem is we have a president currently who doesn’t have a plan, and none of the Republican presidential candidates have laid out a serious, credible plan either. And look, I’m writing a fictional novel aboutan actual — well, actually a fictional — terrorist attack on the United States by Iran in New York, not Washington, and Iran getting nuclear weapons, and the pressuring Israel not to launch a first strike. But we’re not living in a fictional world. We’re living in a world where we neither have a president nor — currently — a Republican presidential campaign structure that has given us a plan. Bream: How important do you think it is that the candidates — the GOP candidates — be asked about this at the next debate, and what their plan would be, and whether or not they would tie Israel’s hands. Because there are many candidates within the GOP field who are strong supporters of Israel, but do you think they would allow Israel to act on its own behalf if that nation felt it were necessary for survival? Rosenberg: I’d like to see that. And that’s the thing — I mean, there’s no question that jobs, the economy, bold tax reform, these are all critical issues, and the candidates — to varying degrees — are addressing them. But in terms of foreign policy, and the number one threat to U.S. national security — Iran — really nobody has really laid out a comprehensive, detailed plan to neutralize the Iranian threat. We don’t really know if the candidates would launch a preemptive military strike, or would seriously consider it as an American president. Nor do we know whether they would support Israel in such a strike either. And yet, in the novel — The Tehran Initiative — I have an American president, fictional, sending a senior American official to Israel to pressure Israel not to launch a preemptive strike, even though they are facing a Second Holocaust. Now, just a few weeks ago, President Obama sent Secretary of Defense Panetta to Israel to do that very thing. So, unfortunately, the issues I’m dealing with fictionally, they are playing out right now. And I think we need to hear from the President and from the Republican candidates — walk us through a plan, because this is a very, very serious issue. Bream: It is. And your books will keep folks up all night. « IRAN DECLARED WAR ON THE U.S. & ISRAEL IN 1979: When will we respond decisively?